It is almost everyone’s dream to be healthy and happy. However very few people actually achieve this dream. The key to complete happiness is internal. If you think you’re having a bad day try missing one! We are living in a time where so much attention, energy, time, and money is invested into the total attention of disaster, war, misfortune, crime, and violence of one kind or another? The Media bombards us with all kinds of "baddies" and tensions and most people talk all day about them with their friends and colleges. It seems that the majority of the population is intent on bombarding each other with bad news. It keeps the adrenaline going, and we do tend to confuse stress with aliveness. "Am I happy, Doing what I’m doing?" The simple fact of the matter is that if you have to actually stop and think about this question then the chances are very high that you are not! You may be even have all the positions of the collective dream, and yet you may be still totally unfulfilled. Why? Most people don’t have an answer for their distress. So they go looking everywhere but inside themselves. the less likely you are to find it. The reason for this is that all forms of seeking are an exercise of the ego, whereas true, permanent happiness is the unconditional inner self, which transcends the ego. Ego is external and true happiness is internal, it is a state of attitude. To live in an attitude of gratitude. you can only be happy. Most people have experienced moments of joy or delight at one time or another in their lives. So you know what happiness feels like, that feeling when the whole body radiates with joyous energy and you feel like embracing everyone and everything. In those precious moments, you are in touch with something more real than your ordinary external self. The ego is temporarily suspended, and your consciousness and energy rise. You have an overwhelming feeling of happiness, total blissfulness, which has the devine quality of love. The opportunity to experience these feelings on a regular basis are available by choice and perspective. No one else but yourself can do this for you. When you center yourself and you are totally present as the whole body, you can get in touch with the larger reality that is your internal self in which you are immersed. Then your energy starts to flow more freely, and you feel that deep sense of security, intuiting that true identity that is you untouched by any conflict or pain. To be present as the body is a skill that can be learned through yoga, for yoga means "to union." 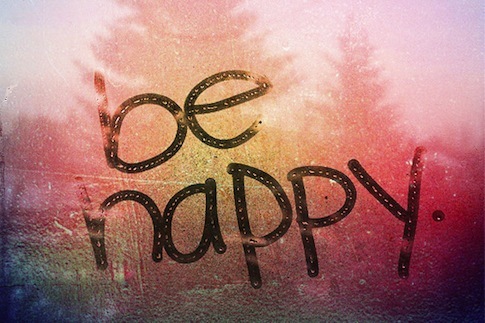 Be presently happy rather than seek to become happy is an open option for anyone. We can either chose to lose ourselves in fear, anger, despair and all those other negative states, or you can chose to feel the total bliss that lies beyond them. Happiness is your birthright, so claim it, be one of the people that decides to become all they can be, enjoy everyday, make the most out of life and live it don’t just exist within it.